On my first visit to Grand Manan Island, I met a new friend. Eric Allaby is a kind and fascinating soul who was born on this lobster paradise off the coast of New Brunswick. In the 1950s, he was first to introduce scuba diving to the herring fishery (cf. weir fishing) and to personally survey the dozens of shipwrecks around the island. 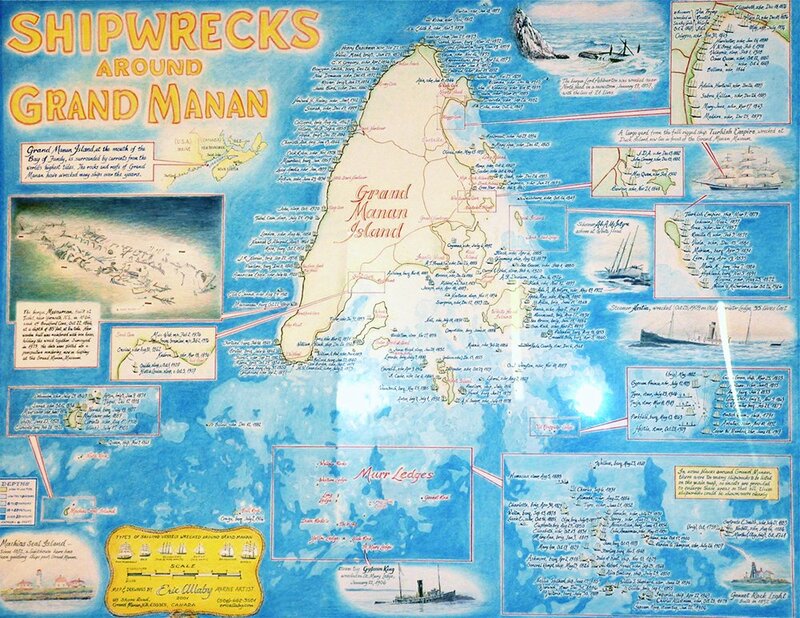 Eric was mapping and salvaging the wrecks when others were still wearing metal diving helmets. Mr. Allaby would go on to become a map-maker, museum curator and minister of the New Brunswick provincial legislature, where he served for 19 productive years. As I said, fascinating! Freedom for the American Church? Jubilee! : Mark: 2:13-17 (7) Pharisees Attack!